I received a surprise package in the mail the other day! 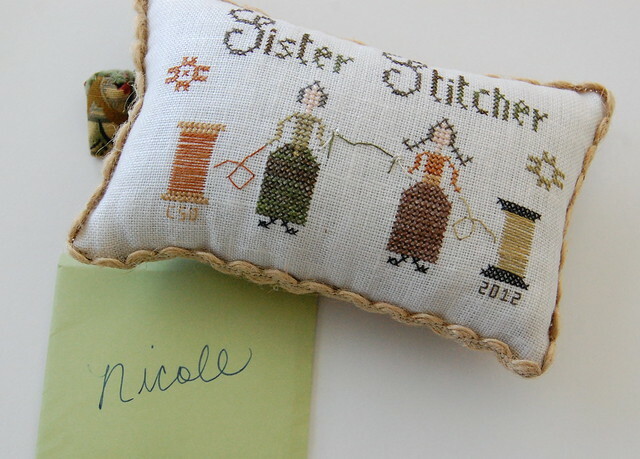 Inside was this adorable pin cushion and sweet note from Charlene. She said in the note that she thought I might need a little cheering up because we didn't get to stay in Florida. I was blown away by her thoughtfulness and kindness. I'm truly blessed to have such nice friends up in the Carolina's and I'm really looking forward to being near them again. So sweet and thoughtful! Love it! Charlene is so sweet to have gifted you with such a nice gift. That is such a sweet and pretty gift from Charlene! 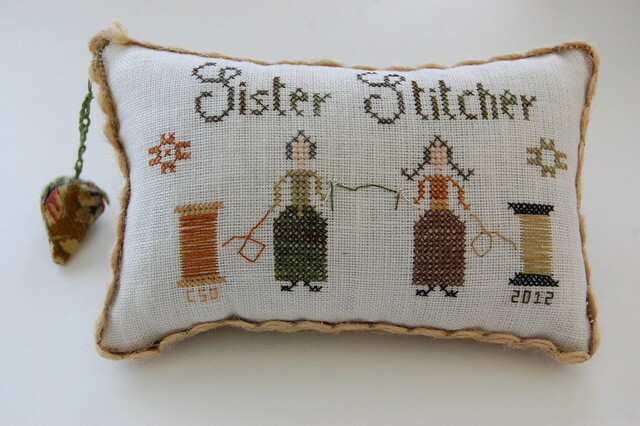 I can see why you are 'stitching sisters', so gift well-deserved!! I know you will cherish it! Very nice surprise! I love the little strawberry emery she attached. So sweet! Love the added strawberry! Such a thought full gift... I am happy to hear you may have found a home to rent. Hope you and your family are having a great summer so far!! What a sweet surprise, enjoy it. Lucky girl Nicole, lovely gift. Super adorable little pillow Nicole! How sweet of her to stitch you a gift!! What a lovely and thoughtful gift! That's such a sweet gift!!!!! So pretty! How very kind of Charlene. What a blessing - Such a lovely pin cushion !! What a lovely surprise to receive in the mail. A lovely and thoughtful gift from a friend. Enjoy. 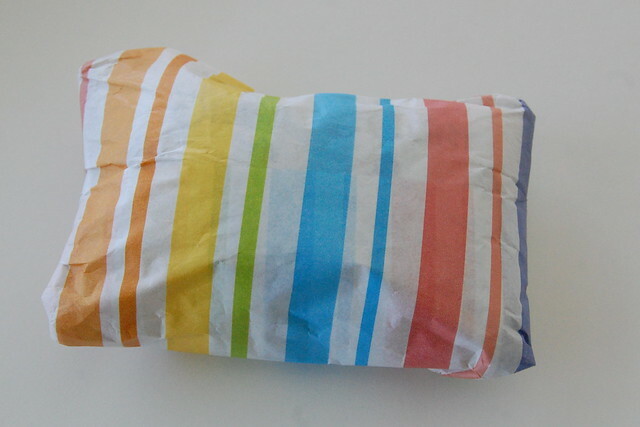 Such a pretty and thoughtful gift you received.